A juggler and comic coming from the great dynasty of the circus. David is a multi-faceted artist travelling the world using his humour and talent to amaze his audience. His comedy is produced through his stylized costumes, music and humourous topic as well as excellent delivery and communication with the audience. 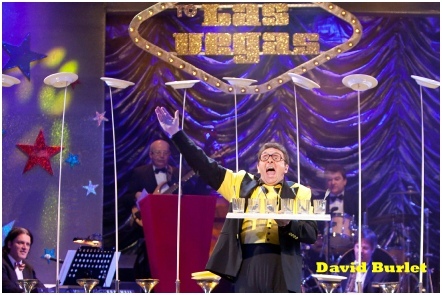 David, in is extraordinary act, can juggle plates, glasses and small spoons where every second seems like it could all go wrong, with hilarious results ! The plate spinning performance has been porferming by chineses troups for years. David Burlet is presenting it in a different way. From a Circus Familly Franconi, he has been performing over the world on cruise ships, varieties and on tv shows such as “Le plus grand cabaret du monde” in France, “Circo Massimo” and “The Slammer”.